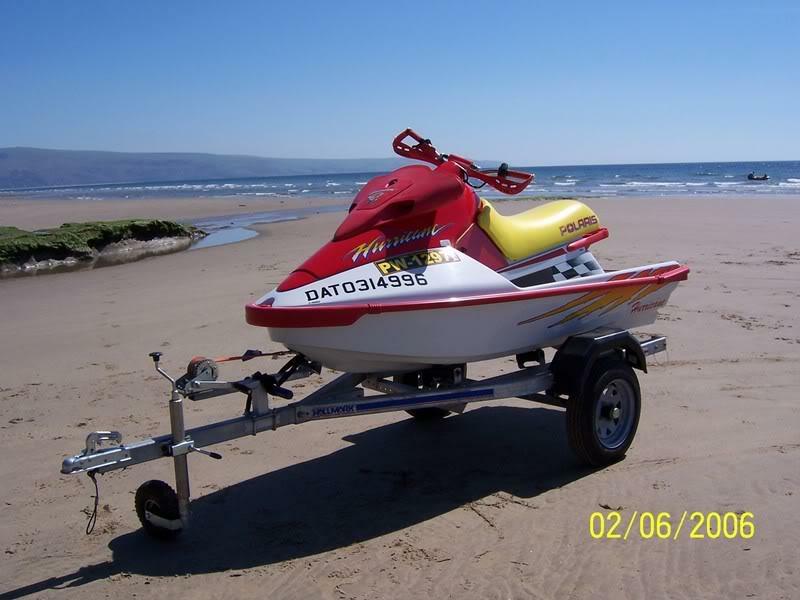 First post and a long one , right 3 years ago, i brought a Polaris hurricane 700 1996. now the ski was a fast ski, on the sea i had 55 out of her and she reved up to 6800rpm, if you stopped sharp turn and hit the power it used to bog down, some times even stalling, after it stalled you would always have to prime the fuel to get it running, sometimes it would bog in a straight line and priming the fuel as you went along would make it pick up. This went on for a full season as i promised myself to sort it when the sun went in and i could live with the odd stutter. The second year i had it seviced and the carbs reset (it runs premix) and new plugs (its running spark aresters on the carbs), guy tels me its running fin, but if it bogs down in the water, to turn the carb screw back a little till it was ok.
After a week at the coast runing the ski the problem seamed worse and any amount of messing with the carbs didnt help. Anyway my last attemp and off i went out to sea then back in messing with the carbs and checking the plugs as i went, then on the last turn in, it picked up, so i turned to hit the open wave then it went very slugish and stopped, i attempted to sart it and the motor got slower then it stopped turning over. Out of the water saw the ski with what looks like a seazed piston, the ski has been in storage since then and after finding this site im going to get it back and fix it, my questions are simple and any answer will be mosy greatful. 1. do you think the carbs needed rebuilding as they house the fuel pump i think fueling was the problem. 2. will i get away with a top end rebuild as it did seaze very slow on the starter motor. 4. where could i get small parts from like 2 x cover catches 1 x big plastic nut that holds the fuel tap in the hull. 5, also i notice that on the sea the ski seam to have alot of waster splash over the engine, could i do with replacing the hull seals and if so where can i get these from. Last edited by z00m; 06-09-2007 at 08:24 AM. Mick Welocme to the Hulk. I would first look at the cylinder and piston to make sure they are up to par. Than go thru the fuel system with new lines and rebuild the carbs and fuel pump. If you could post some pics of the cylinder that would help. It might also be your ignition system. There is a upgrade to the stator and CDI. 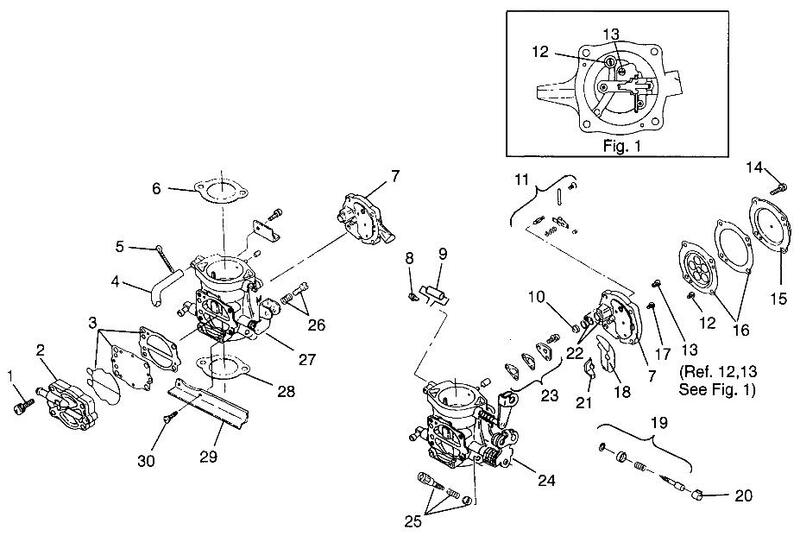 Check for a loose connection at the starter. Hi Mick, Welcome to the Green Hulk forums. #2 If the crank index is good, a top end rebuild shoud be all that is required (along with finding the origin of the problem). #4 Check in the "Service and Accessories" thread in this section for a list of great suppliers, some offer discounts to green hulk members. #1 This does sound fuel related. I would say that pictures of the pistons will tell the tail. Let us know what you find. Good luck! Yes Sir Item#2 It looks like one pump feeding both. RXP Riders.. Im going for stage III need Help.